A cube of sugar escapes from factories to avoid the fate of becoming a cookie! Sugar Cube: Bittersweet Factory is a 2D platformer game that presents the story of a sugar cube. The background tiles of the game have two sides, namely, the front and the back. These tiles can be flipped for access to critical hints to solve different levels. They may or may not help you, so pay attention! 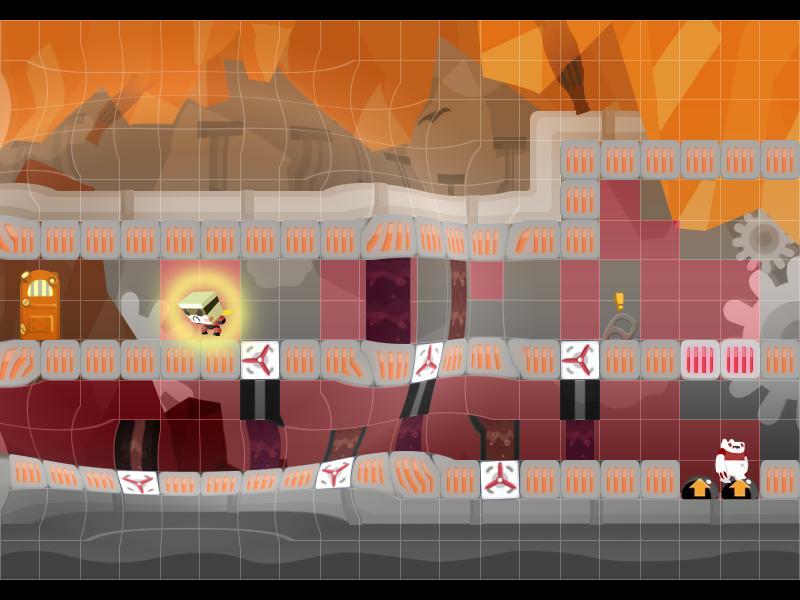 The game is the full version of IGF China 2010's winner, Sugar Cube. It includes 5 factory themes containing 90 levels and 2 endings. Also included is the full soundtrack of the game. Also included is the full Sugar Cube: Bittersweet Factory Soundtrack.